BIG! 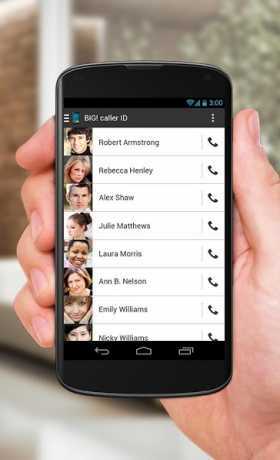 Full Screen Caller ID for Android gives you the possibility to set full screen caller ID images for your incoming and outgoing calls instead of a default caller ID screen with small pictures. We believe that if you have a georgeous HD screen in your phone, you should use it to its full potential. That’s why we created BIG! 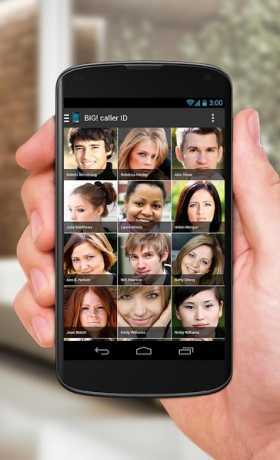 Full Screen Caller ID – to make your Android phone look beautiful. Full-screen caller ID image will give your phone a fresh look, something it should have had the moment you turned it on for the first time. Download the app and go through a short setup guide, where you will automatically connect your contacts with their Facebook and/or Google+ accounts to download their full screen caller ID photos automatically. After setup you will need to enter your friends profiles and enable them to appear with full screen caller ID images when they call you. • enable full screen caller ID for all or only a few contacts. Full Screen Caller ID – BIG!